By using 2-sided PCB, BM832A has minimum BOM cost and is made in production line dedicated for Bluetooth modules with high production and quality control efficiency, the cost of using BM832A module can be lower than designing-in SoC at any quantity. However, it is a full feature module. 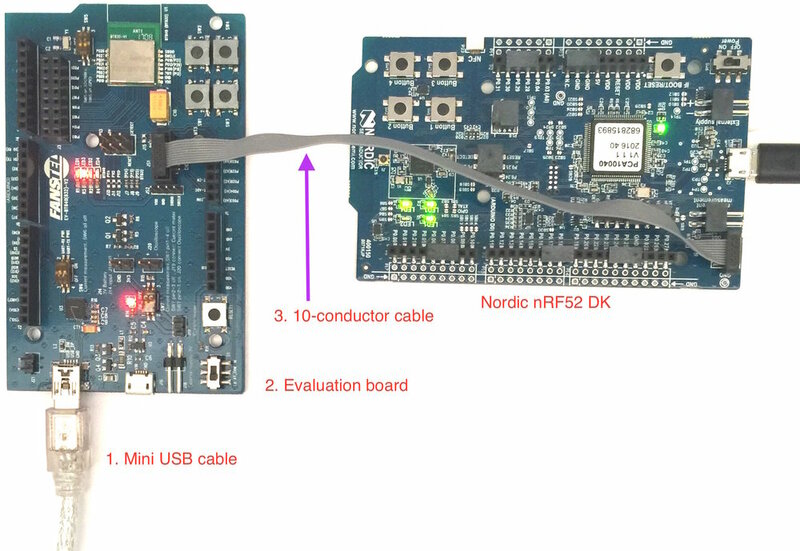 All 32 GPIOs of nRF52810 can be accessed. Inductors required for DCDC converted are integrated. A high performance PCB trace antenna is integrated. Bluetooth Range: 340 meters with at least 60% Fresnel zone clearance. Peak current: 5.4 mA RX, 7.5 mA TX at +4 dBm. Datasheets, certificates, evaluation board schematics are available for download. EV BM832A is preloaded with BlueNor nRF5x application and SoftDevice S132 V5.0.0 Bluetooth 5 stacks. It can be used with Android app BlueNor nrf5x available at Google Play Store. You can send commands from an Android phone to toggle LED light on evaluation board. You can also send button pressing signal from evaluation board to Android device. BM832A, BLE 5.0 module with the same soldering pad footprint as BT832.